Dubai is a beautiful and well-planned city of the UAE. From a small fishing place, it has turned into a business hub and a major tourist attraction of the Arabian Peninsula belt. Sky-scrapers, malls or public park, everything here is larger than life and pulls the attention of tourist across the world. So how can mosques and other religious places be left out. Every mosque in Dubai is perfectly structured and designed by experts to keep in touch with religious significance and aesthetic. A few years back, it was reported that between 2008 – 2012, over 400 mosques were built in the city. These mosques not only offer a spiritual satisfaction, but also are masterpieces of Muslim architecture. A trip to Dubai without a visit to any of these religious places is incomplete. Be it the Al Farooq Mosque or the Grand Mosque, each carries its own uniqueness and grandness. In Dubai, there are two different mosques built: mosques that host Friday prayers and mosque that host only regular prayers. Moreover, there are more than 400 imams and khatibs. Let us now check the list of Dubai mosques and why they should be visited. 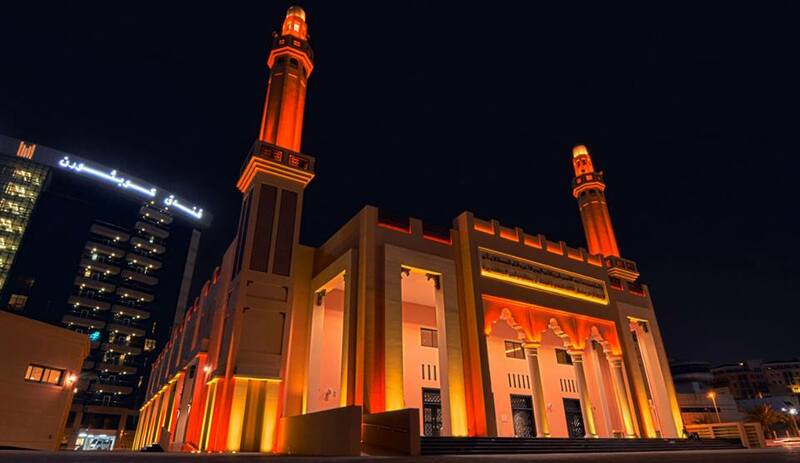 Opened in 2011, this Dubai masjid or mosque can accommodate 2,000 worshippers at a time. Spanned over 8,700 sq. metres and inspired by 17th century Sultan Ahmed Mosque (Istanbul), this is the most beautiful mosque in Dubai. It was founded by Dubai-based businessman Khalaf Al Habtoor. The mosque was originally built in the year 1988 and further expanded in 2000. Located on the Sheikh Zayed Road, the architecture has a mixed look of Ottoman and Andalusian styles. It houses more than 4,000 Islamic titles and also has interfaith lecture. This grand Dubai mosque has welcomed high religious figures like Sheikh Ahmad Ali Al Nahas and Muazin of Haram Al Maki. This is yet another masterpiece and most photographed of all in Dubai. It is large enough to hold 1,200 worshippers and is built entirely from white stone and in Fatimid tradition. Although it is one of the most famous mosques in Dubai, non-Muslims are barred from entering it unless there is an organized tour. The Dubai mosque holds Open Doors and Open Minds programme for visitors to explain them Emirati culture and Islamic religion. 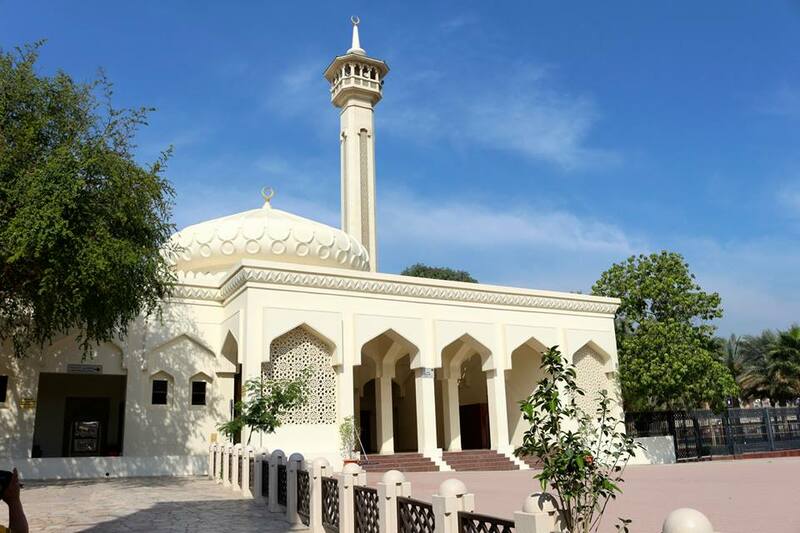 Moreover, the Sheikh Mohammed Centre for Cultural Understanding offers a guided tour of the mosque on every Sunday, Tuesday, Thursday and Saturday. One doesn’t require a reservation to attend this tour. This beautiful mosque is known for its calm ambience and spacious area allowing worshippers to pray peacefully. Apart from holding prayers daily for five times, the mosque holds Ramadan service that pulls a huge crowd throughout the month. The architectural work of this mosque is spellbinding. This is the most amazingly designed mosque in Dubai. Though it is not the largest one, but has a photogenic look. This little mosque has lattice works with intricate details at each corner. Near to this mosque is the last remnant of Dubai city walls, which was built in the 19th century. There are daily prayers held and the mosque sets amazing iftar during the Ramadan period. 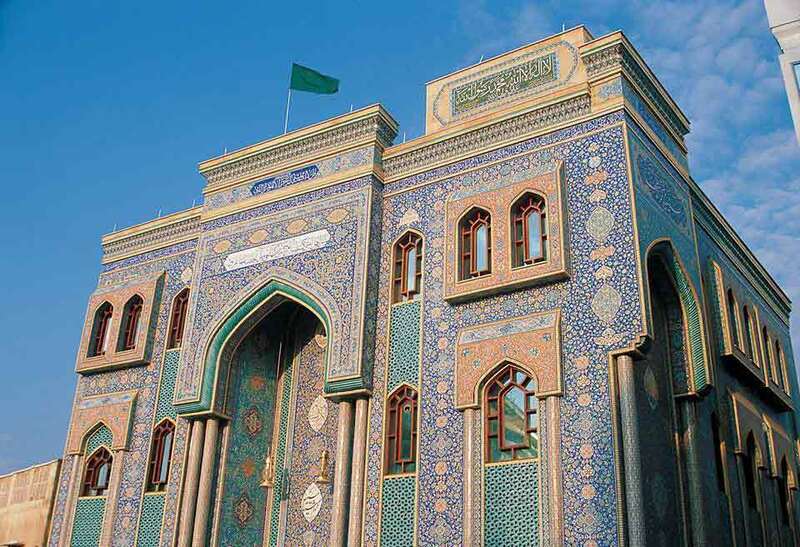 This Shia mosque is located in Bur Dubai and bears Persian architecture style. Though it is not the most beautiful one, but still holds the best look. It features an interesting facade and onion dome. Moreover, it has square tile-work done in gold and bright colors. The inside walls are inscribed by Islamic Calligraphy in green, yellow, red and white colors. Located between textile Souk and Dubai Museum, this is quite opposite to the Hindu Temple. It was originally built in 1998 and can hold 1,200 worshippers. Initially, this mosque was built as a school to study the Quran. The architecture consists of 70 metre high minaret, the tallest in the Dubai. Moreover, there are 45 small and nine larger domes covering its roof Non-Muslims are not allowed to enter, except the minaret where photographs can be taken. The Grand Mosque is considered as the hub of Dubai’s religious and cultural life. 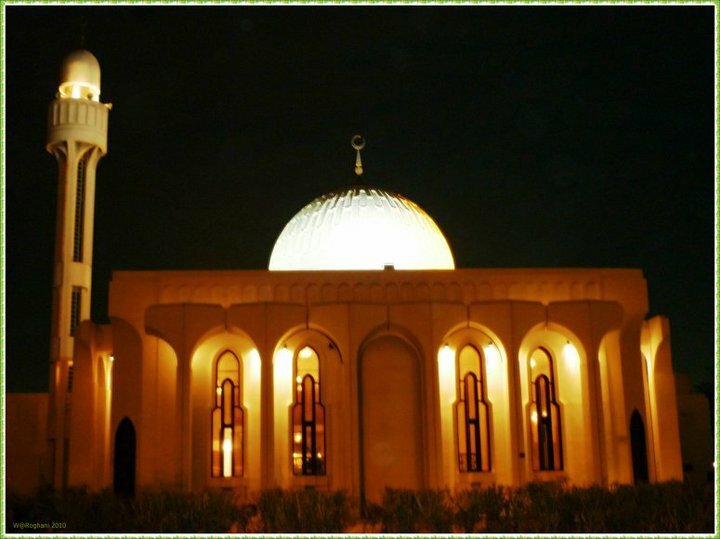 The mosque was built and opened in 2014; it is located in Diera and is the environment-friendly mosque. 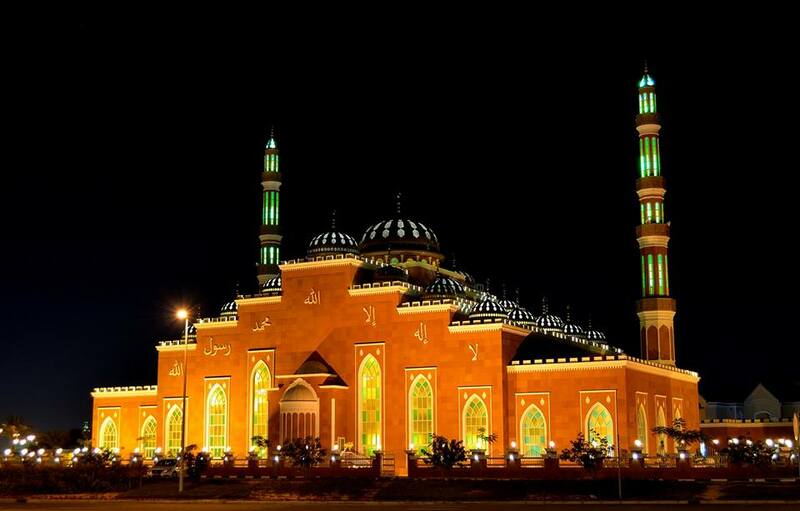 This Dh22 million mosque can accommodate 3,500 worshippers. The mosque has sensors for AC and lighting along with solar-powered water heaters. Moreover, the ablution stations are designed to save water. The main aim of building this mosque is to provide calmness during prayer and contribute towards a green environment. This 4,180 sq. metre mosque has 3 halls-Grand prayers, daily prayer and women’s prayer hall. It has complied with the silver standard of the United States Green Building Council’s Leadership in Energy and Environmental Design (Leed) certification. 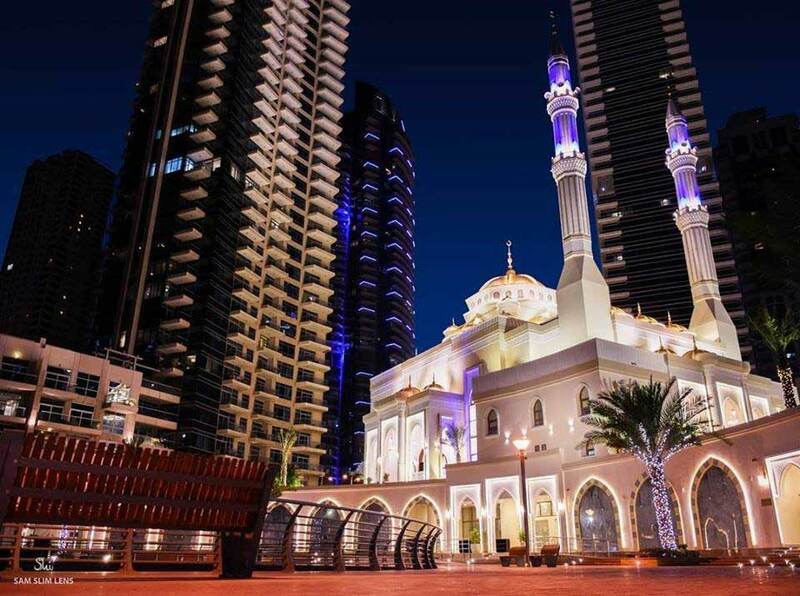 This is the only mosque in Dubai Marina and was opened in 2013. It was built at the request of Sheikh Mansour bin Zayed Al Nahyan of Abu Dhabi, Deputy Prime Minister of the UAE. The mosque includes minaret and is crowned with a single dome, which is a symbolic representation of vault of heaven in Islamic architecture. It can accommodate 2,000 people and remains crowded on Fridays. 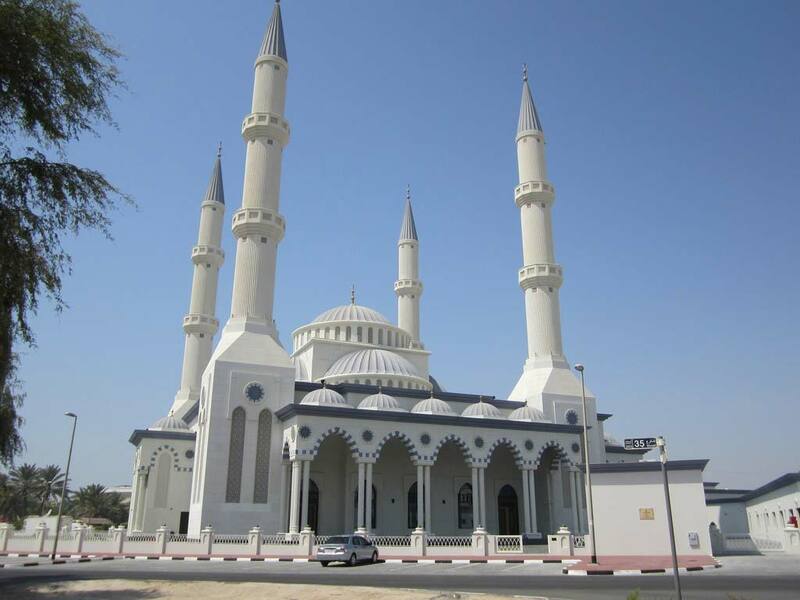 Located in Al Barsha, the Al Salam Mosque is the newest mosque in Dubai. It was inaugurated in July 2014 by the Ruler of Dubai, His Highness Sheikh Mohammed bin Rashid Al Maktoum (who is also the Prime Minister and Vice President of UAE). 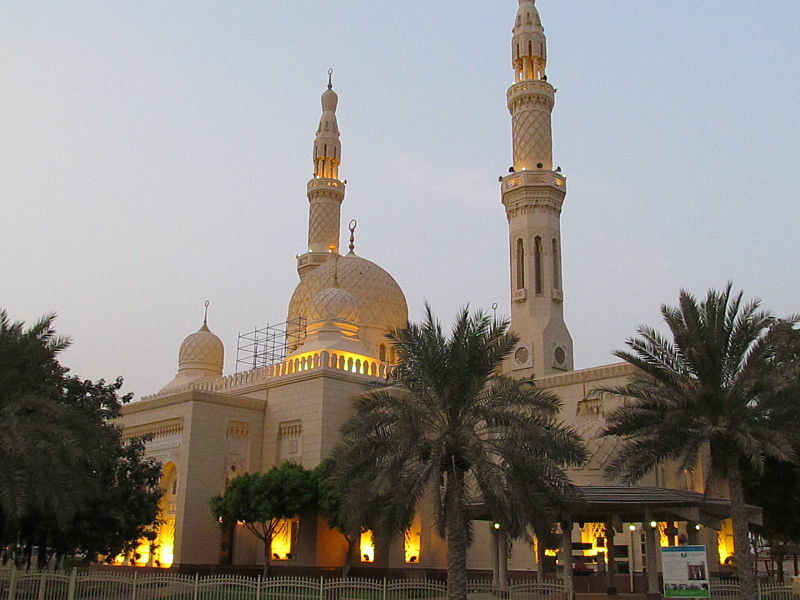 The mosque, which is situated behind the Mall of Emirates, is large enough to accommodate around 1500 people at a time. While the place is enormous, the real highlight of the mosque is its architecture and design. The architecture of the place is a mix of Andalusian and Ottoman elements while emphasizing the use of Emirati architecture. The design of the place gives it a regal and elegant look, making it one of the mosques in Dubai that should be visited at least once during Eid this year. There are many more small and not so known mosques in Dubai that you can visit only with prior permission. A trip to Dubai can be fulfilled with religious and entertainment together with family and friends. 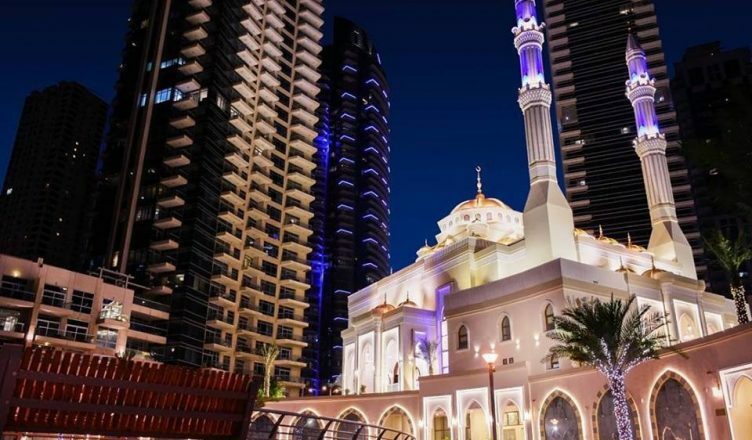 If you’ve no knowledge about Dubai mosques and Ramadan festival in Dubai, check with the tour operator who can provide all the details about mosques to visit in Dubai, including when and how to visit. Having a trip to Dubai is everyone’s dream and with the tour package available, one can enjoy their best time holidaying in this magnificent city.